I would like to apologize to my readers for having not been able to respond to comments made on other threads, and for the lack of new content on the site. In August I made a move to a new position with the company that I have worked, for over thirty years, it has been a good move for both myself and my family, however it has made additional demands on my time. This also has been good for my family since I am still an hourly wage earner. As well, many of you know, I have also been dealing with personal family issues that have also needed my attention. We all must prioritize our lives. Unfortunately for the blog site and its readers, it falls far below my family, which I am sure all will understand. To add to everything else I recently injured myself at work, which has made it first impossible to sit at the keyboard, and now merely difficult. I am on the mend though, and hope to soon be writing again and responding to your comments. 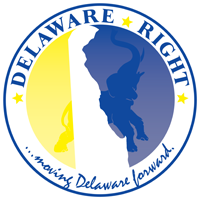 I will be putting up an open thread, which you will see above this, I hope that some of our regular commenters will help me out by discussing some of the pressing issues facing the state of Delaware and or the nation. 2 Comments on "My Apologies"
Appreciate the update and understand the need to prioritize. We do know that some are eagerly awaiting you to respond to comments and that we’ve (W & I) have been working on something as well. Laffter we bow in admiration of your Seahawks as they were the better team and only wish it had been a better game with better commercials. This was a Peyton House today.